There's a town in India famous for its briyani. It's a sprawling IT metropolis named Hyderabad, and people come from around the world to sample this ancient, soldiers-once-scarfed-it staple. Made with basmati rice, onions, saffron, lemon and various spices, the fluffy pile of starch is usually ladled with giant portions of mutton and served steaming hot with generous vessels of water. 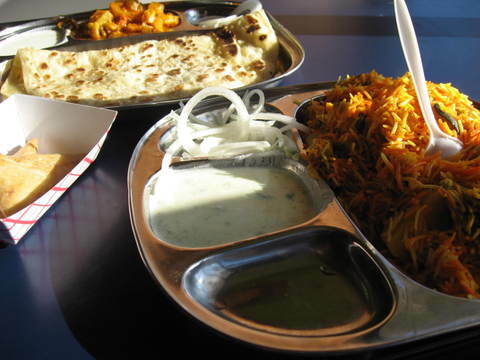 Spicy is the name of the game with Indian food, especially that which has a direct link to the City of Pearls. What does any of this have to do with Chicago, you ask? Well, troll on down Devon Avenue and look for a tiny scrap of a building surrounded by junk cars and still warm cabs, and you'll have your answer. 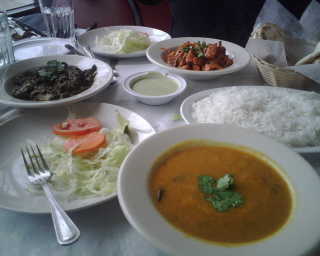 Hyderabad is alive and kicking in the side streets of Chicago, and my belly is a whole lot happier for it. There are a gazillion places in Chicago that I fly by while thinking, "Man…I gotta eat there." Yet something always comes up and I simply don't. Last week, after a major decision to move to warmer climes next summer, I decided that the only food I would allow myself to eat has to be from restaurants I've never been to. That means no more La Unica; goodbye Gruppo Di Amici; see ya later mojitos at Morseland. Yeah right—we'll see how long that brave declaration lasts, but, in the meantime, I did stumble in to a place I've been wanting to try for eons—a little Indo/Pak diddy called Ghareeb Nawaz (the name means "sustainer of the poor") just on the fringe of the Devon Avenue Mecca. Now, this is a joint that is forever teeming with business, and the meters surrounding it are swarmed by cabs of every color. The chaotic storefront has a sign that reads "best homemade Pakistani and Indian food," and after sampling a slew of vegetarian dishes for $5, I can tell you it is definitely the cheapest and most generous homemade Indo/Pak food. The best? That's a toughie. But, the most affordable? You bet! This tucked-away Southern Indian nugget is a dream for strapped diners, especially if they're meat lovers. 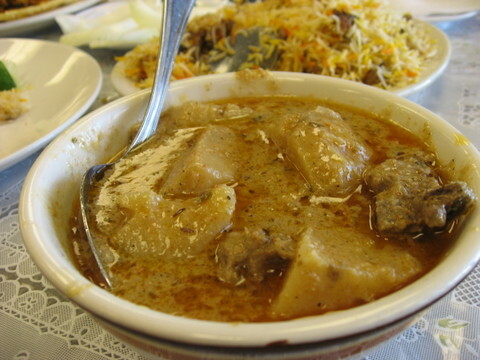 With no veggie options on the dry-erase-board menu, the cabbies, locals and neighboring auto-shop clientele have no choice but to load up on piquant bowls of soft mutton in silky gravy and heaping plates of steaming lamb biryani. Be prepared to make multiple lightning-quick beelines for the water cooler if you choose the chicken paratha—its tasty but potent fire level can be a bit much for beginners. Cool off with a tasty bowl of homemade kheer (rice pudding). I'd like to credit all my spectacular finds along Devon Avenue to Bhabi's Kitchen, more specifically Bhabi's hours of operation. Seems that every time I roll past the restaurant in need of some good Indian food, it's closed. 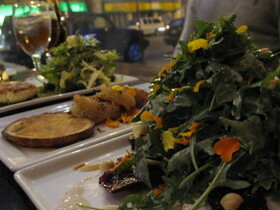 But considering the bevy of delicious spots packed along the avenue, my heart never skips a beat. Enter new kid on the block, Mazza Barbecue. Man, what a lucky find. This sunny, storefront is poised and ready for the budget-minded heat-lovers to pour through its doors and once the gals get a load of the adorable waiter (imagine an Indian Dean Martin), they won't be able to stay away. The cheap and excellent food is just the icing on the cutie-pie cake. I wish I could tell you everything I managed to shove down, but when it comes to Indian food, simple is as simple does: I usually just order something with spinach, lentils or potatoes and call it a day. I'm not a real big fan of fancy food. I like my cuisine unfussy and simple, more peasant-style than king's platter. And, as much as I love trying new places, I'm also a big stickler for the satisfaction-guaranteed spots that I frequent without hesitation. That said, after hearing all the hubbub about Marigold, a new Indian restaurant in Uptown, I had to give it a go. The neighborhood's been on the upswing for quite some time, but now, more than ever, we're seeing an across-the-board transition, with new condos, bookstores, coffee shops and boutiques popping up left and right. There is nothing neater than walking into an upscale Indian storefront in a shoddy 'hood and witnessing a full throttle, spice-loving audience literally stampede through the front doors and pack the tiny, candle-lit dining room tight on a Wednesday night. "On the up-and-up" is an understatement, I'd say.